Shopify and Magento are two of the most popular e-commerce platforms available today. Both of these are being used by hundreds of thousands of store owners to sell products online. If you’re interested in setting up an online store of your own, these two platforms are bound to come up in the list of considerations. But even though these are marketed as complete e-commerce solutions, the way they operate and function differs significantly. A Magento vs Shopify comparison between Magento and Shopify is not an easy feat. That’s because Shopify operates on a “software as a service” (SaaS) model which offers users a complete set of store building and management tools for a monthly subscription fee. Magento on the other hand, is open-source and available to the public free of any cost (more on that later). The catch with Magento is that while anyone can avail it for free, it is nowhere near as user-friendly as Shopify is to use. And that is one of the major reasons why anyone choosing between these platforms as possible e-commerce solutions should really go deep into the key differences. Note: In this article we’ll be talking about the Community Edition of the Magento platform as it allows for a better comparison against Shopify. Magento vs Shopify Which is Cheaper? Magento vs Shopify Which is Easier to Use? *The Shopify Lite plan is excluded as it is does not include store-building tools. Website design has always been a major consideration for site owners. Good design goes a long way towards building trust and credibility with a website’s visitors. An e-commerce store with a well-designed interface invites visitors to shop around, increasing the chances of a sale. Bad design on the other hand makes a bad impression and is likely to drive traffic away from a website. The drastic increase in smartphone usage has meant that websites now need to be optimized for a seamless mobile web experience. Google goes as far as to penalize websites that do not offer mobile-friendly interfaces. Shopify offers a selection of 62 templates, 10 of which are available for free. The company has always offered templates that sport a clean and modern aesthetic, even the ones that are completely free. Reassuringly, all of the templates offered are mobile-optimized so they look great and offer a consistent user experience regardless of the device they’re being accessed from. The free templates all feature crisp and distinct designs that will suit a variety of industries. What’s more, each template comes in 2 or 3 variations, giving users further options on how they want a particular template to look right out of the box. 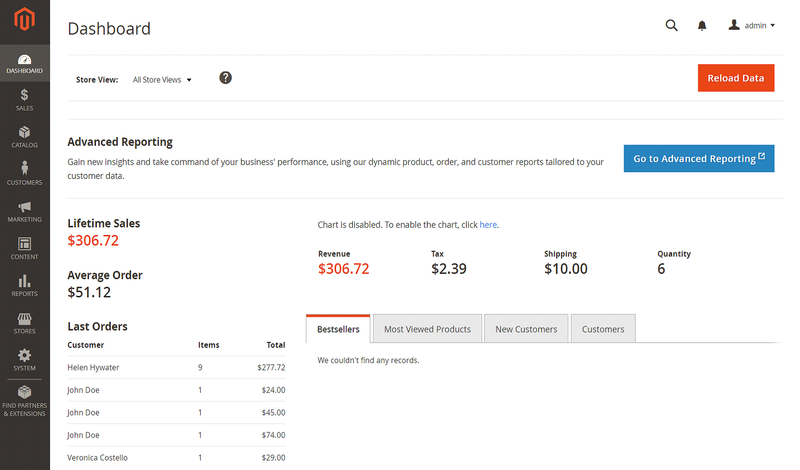 Shopify’s paid templates start at $140 and go up to $180. This is a one-time cost and one every store owner should consider with great care. The look and feel of an e-commerce store defines its identity and decisions down the road to change it can result in decreased customer confidence and a drop in search rankings. What’s more, all of this can be done without the need to delve into complex CSS or backend code. A visit to the template section of the official Magento Marketplace reveals that there are currently just 14 templates available, only one of which is free. The rest of the templates start from $29.99 and go all the way up to $499.99. Why the dramatic variance in cost? That’s because not all of these themes feature the same level of design and customizability. In fact, some of the themes available in the Magento Marketplace feel downright dated and have very mundane designs. Store owners looking for a diverse selection of themes with modern designs certainly won’t find what they’re looking for here. But this is where Magento’s open-source model comes into play. Because Magento is free, third-party designers and developers can create their very own templates for it. And that has led to the growth of vibrant Magento template marketplaces on popular website design websites such as Template Monster and Theme Forest. At the time of writing, there are 461 paid Magento templates on Template Monster and 764 on Theme Forest. And it’s not just a matter of quantity either. Most of the templates have passed their respective marketplace’s quality control procedures and feature great design. And if this kind of diversity still doesn’t cut it, you can have a custom and unique template designed from scratch. Mind you, you’re going to need a Magento expert to accomplish this and it’s very likely going to cost you a fair bit of money. Access to reliable customer support is vital to the operations of any e-commerce store. If things go wrong, customer support is usually the first point of contact for many store owners. If your store is not functioning properly and there’s no support available to resolve the problem, you’re going to lose sales and even customers. This is far from ideal for any e-commerce business. Shopify offers online and phone support for each of its subscription tiers. In practice, Shopify’s customer support is responsive and helpful to even the most simplest of questions, and queries on live chat were responded to within a minute. The company realizes that most of its customers are not well-versed in technical knowledge and the support staff is always there to help its users. Because Magento is open-source software, there is no official customer support available to its users. If a Magento-powered store runs into any kind of problems, its owner is either expected to diagnose and solve the problem on their own (Magento forums are useful in this regard), or turn to expert help. There are third-party firms that specialize in Magento customer support. The best of these firms are highly knowledgeable and offer an excellent level of customer support. One such firm is CoolBlueWeb that has been in the business of providing Magento expertise and support services since 2009. They are an official Magento Solutions Partner and have generally positive reviews by the companies they’ve worked with. Shopify is a paid product that is offered as a “software as a service” (SaaS). Magento on the other hand is open-source software available to anyone for free. The Lite version of Shopify does not give access to the platform’s store-building tools. It is meant to facilitate product sales on existing websites or through Facebook. Magento is open-source and available for free to anyone who wants to use it. However, that also means that the user is responsible for purchasing a website hosting plan. Hosting plans vary in cost depending upon the requirements and can go anywhere from $4 to $4000-per-month. After that you need to factor in the costs of hiring Magento experts who’ll be responsible for getting the store up and running. This can be avoided if you’re good with coding and other web technologies. Most popular e-commerce store building platforms charge their users a fee on each transaction. Shopify does this as well and charges up to 2.0% on each sale. The percentage goes down to 0.5% when users opt for the most expensive plan (Advanced Shopify, $299/mo). Using Shopify’s own payment processor, Shopify Payments, users can avoid the transaction fees the platform usually charges for using external payment gateways. Keep in mind that Shopify Payments is only available to merchants operating from the United States, United Kingdom, Canada, Ireland, New Zealand, Australia, Puerto Rico and Singapore. Magento doesn’t have its own payment processor and that means users will have to opt for an external payment processor. Popular options include Stripe, which charges a flat 2.9% + 30¢ transaction fee on each transaction. The popularity of an e-commerce platform is an often overlooked factor. On the contrary however, it is one of the most important factors to consider for anyone deciding on what platform to build their online store on. The reason for this is simple. A platform’s popularity means that it is delivering according to the expectations of its users. The more popular a platform is, the more likely its company is generating healthy amounts of revenue, which benefits the platform directly in the form of research and development. Platforms that are not popular will not generate much revenue for sustained research and development efforts, and will most likely be overtaken by better-performing competitors. Both Shopify and Magento are established players in the e-commerce business. Shopify powers more than half a million online stores in the world. Magento on the other hand powers more than 250,000 stores. The reason for Shopify’s popularity in this regard could be its accessibility for small businesses and even individual sellers. Shopify’s market share of total e-commerce stores is certainly impressive. But that’s only a small part of the bigger picture. The revenue these stores are generating will illustrate how successful or big Shopify stores are. In this regard, Shopify stores are behind $46 billion in e-commerce sales. Magento on the other hand is responsible for just over $100 billion in sales. This could be due to Magento’s dominant footprint in the enterprise market. After a basic e-commerce store has been setup using the preferred store builder, users might want to extend the functionality of the store beyond what the base platform has to offer. 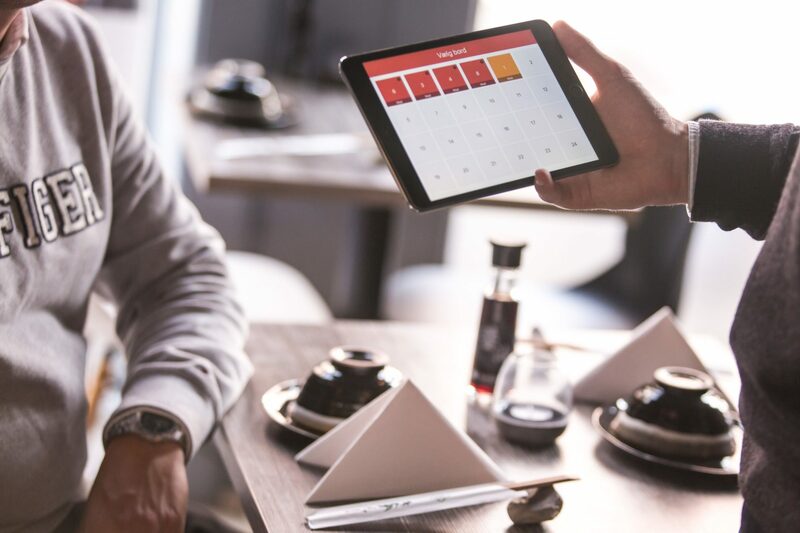 Store owners who’re likely to use increasingly complex business processes should definitely consider the extensibility of the e-commerce platform they choose. A common phenomenon in the tech industry is that the most popular platforms get the most amount of third-party support. An example of this would be Apple’s iOS and Google’s Android which have thriving app ecosystems. 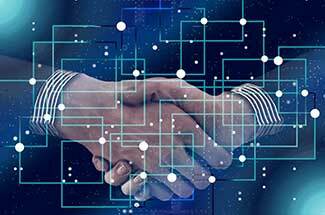 These ecosystems form a major part of the platform’s appeal as they extend the functionality of a smartphone beyond the basic features (calling, messaging and internet browsing). 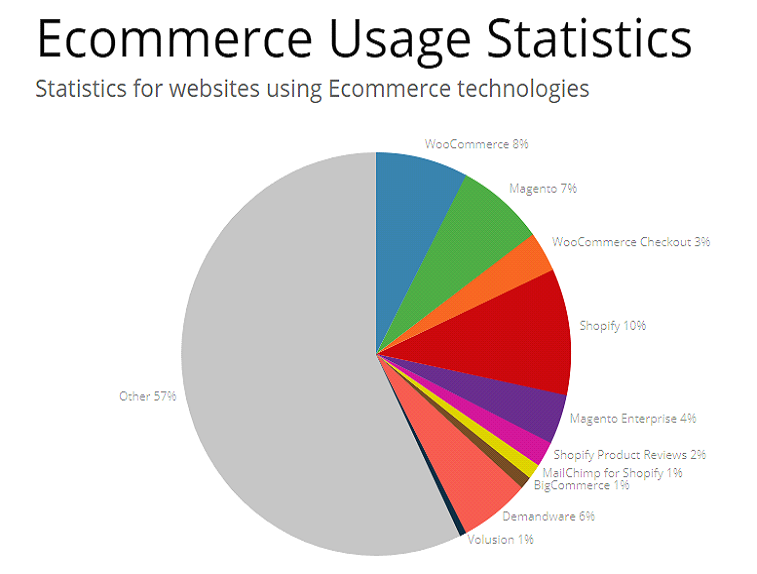 In terms of popularity, both Shopify and Magento enjoy dominant positions in the e-commerce business. This popularity has also led to tremendous support from third-party developers. Shopify and Magento both have their own dedicated plugin marketplaces (Shopify App Store and Magento Marketplace). The Shopify App Store is a dedicated resource that hosts an extensive catalog of apps that are meant to extend the functionality of the platform. There are more than 2300 apps available which address a large variety of user requirements. 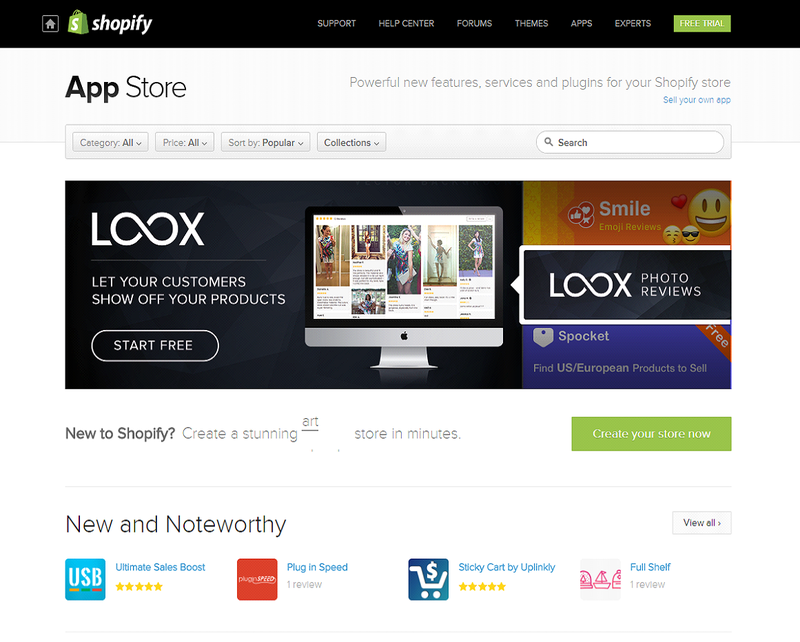 Another neat touch is the way the Shopify App Store has been laid out. The interface is really well designed and doesn’t feel intimidating to new users. In fact, the layout is quite reminiscent of smartphone app stores, which are designed to be easy to navigate for the average person. There is a curated section of apps at the top and a “New and Noteworthy” apps section that highlights new apps that have impressed the Shopify editors. The Magento Marketplace is home to more than 3300 extensions. As you might have guessed, these extensions have been designed to extend the functionality of the Magento e-commerce platform. If your business is expanding at a rapid pace and you want the platform to keep pace with it, these extensions can come in handy as they ensure that complex business processes are taken care of with minimal human intervention. The interface of the Magento Marketplace is overall nicely designed but it doesn’t have the user-friendliness of the Shopify App Store. Apps are listed in a grid view and can be filtered by category. The features of the e-commerce platform you choose will be a deciding factor for its success in the long run. A good set of features means that you can expand store operations according to market demands. Both Shopify and Magento give users the ability to create full-fledged online stores. But a successful online business is much more than just having a web portal that displays the products or services you’re selling. A well-executed marketing plan is essential to an online store’s success. Without proper marketing, the store will not have any traffic and as a result no sales. Dropshipping is a fast-growing facet of the global e-commerce industry. It provides a way of selling that doesn’t involve the management of product inventories which can be costly in terms of time and money. Shopify and Magento do not provide dropshipping modules within their toolset. However, users can leverage the selection of dropshipping apps and plugins available for both these platforms to manage a dropshipping operation. 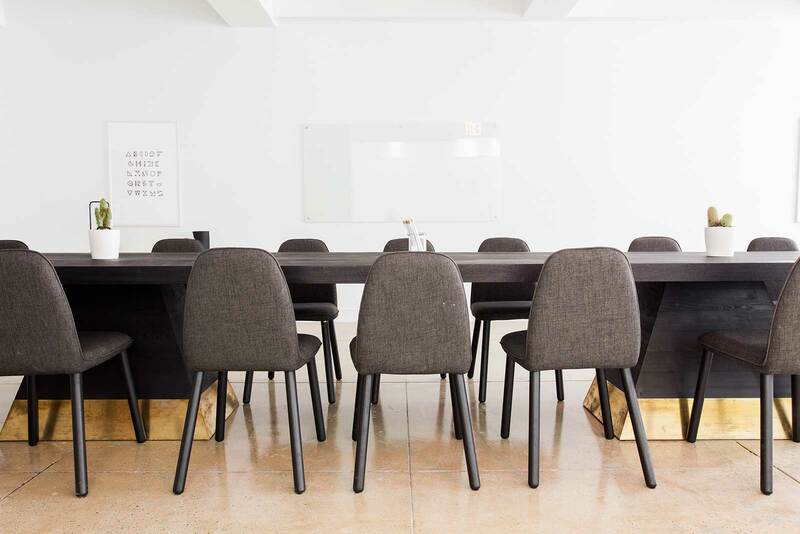 There are even third-party companies that will assist you with setting up a dropshipping business using these platforms. Shopify lists point of sale support as a core offering of its platform. In fact, the company even offers its own set of specialized point of sale hardware that has been designed to work with the platform without the need for complex integration procedures. 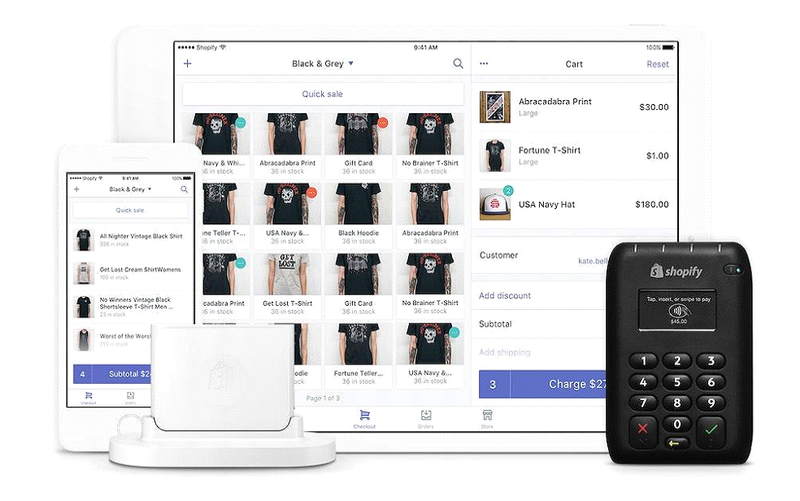 Users can purchase the complete set of point of sale hardware directly from Shopify. This includes a barcode scanner, a receipt printer, a till and a label printer. These are required for operating a small point of sale operation and they’re officially supported by the platform. With Magento, point of sale integration is a bit more complex. First of all there’s no official Magento point of sale module. Instead, users have to turn to third-party extensions designed for the job. So point of sale support is certainly there, but it’ll require the help of Magento POS experts which can cost a serious amount of money. One of the more popular extensions for this is the Magestore POS module which costs $299 for the extension alone. You’ll have to purchase the hardware separately and then hire a POS expert to integrate it with the extension. Shopify features a built-in blog module which allows its users the ability to setup a company blog within minutes. The blog is fairly basic in its functionality and omits some important features such as content tagging. But convenience matters and Shopify delivers in this regard. Magento users can install third-party plugins to attach a blog to their e-commerce store. Most of these plugins are fairly straightforward to use and feature extensive content management features such as tagging and categorization. Small-to-medium businesses don’t really need an ERP to manage their business processes. For large e-commerce organizations however, the advantages of an ERP cannot be looked. 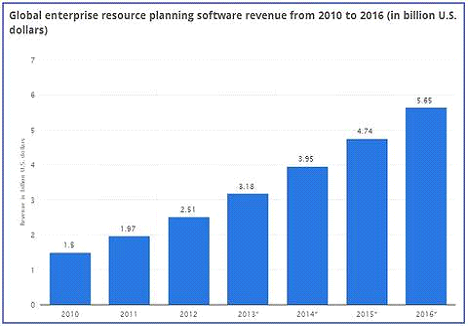 ERPs allow companies to be more agile by giving them the ability to react quickly to market trends, manage inventory levels and streamline critical business processes. Magento is often the platform of choice for firms looking to integrate an ERP solution to their e-commerce operations. It is highly customizable and offers easy access to backend code which makes it easier to integrate ERP modules with the overall working of a Magento-powered online store. Shopify does allow full ERP integration, but you’ll have to opt for the Shopify Plus plan for that. The Shopify Plus plan gives access to the platform’s RESTful API which can be used to integrate virtually any ERP solution into a Shopify-powered website. 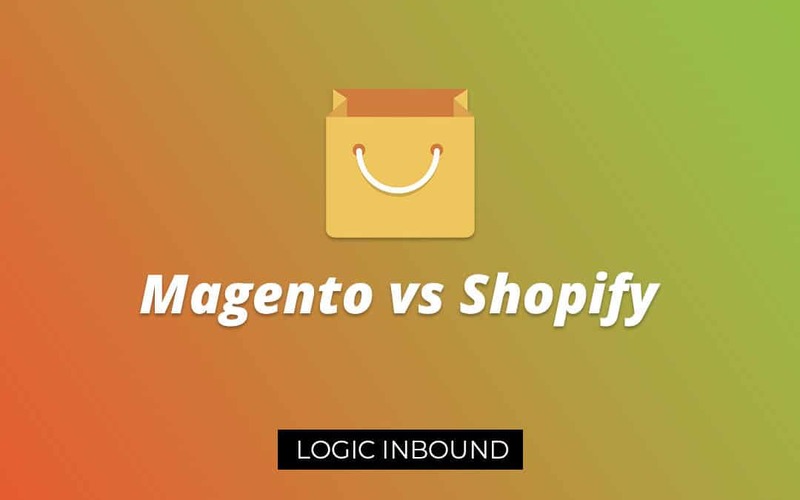 Let’s not beat the bush about it, Shopify takes an easy victory over Magento when it comes to ease to use. Its powerful suite of store building tools is intuitive to use and does not require any coding on part of the user. Using the Shopify website editor tool, most users can have a basic store up and running within a day’s time. Of course, adding products, images, and setting the layout of the store will take some time but that’s about it. The only thing a Shopify store requires is time. Common processes such as the addition of products are extremely easy to accomplish. And if a user should stumble while setting up the store, Shopify’s responsive live chat support personnel are always there to help out. Magento is a different story when it comes to ease of use. This is a highly technical product with a steep learning curve. Even seasoned programmers will have to take some time to get to grips with the interface. With Magento the user is responsible for adjusting website parameters to get the best performance out of the product. The sheer number of technical terms sprinkled across the interface means that only web experts can setup a Magento store properly. A novice user could follow some Youtube videos and setup a store, but it won’t be running at peak performance. 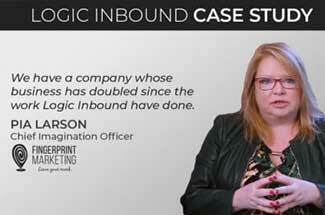 For the average person, using Magento to build an online store is a challenging proposition. Shopify and Magento are e-commerce store builder platforms. But that’s the only common thing between them. Their target audiences are totally different owing to the way these products function. If ease of use is your primary concern when looking for an e-commerce platform, going with Shopify is a no-brainer. Its intuitive interface and powerful yet user-friendly store editor can be used by the average person to create a fully operational store in a small amount of time. With Shopify, the user does not have to worry about the kind of hosting plan they need. Choosing the right web hosting service can be a real pain but Shopify takes care of that for you. Shopify lets its users avoid transaction fees if they use Shopify Payments to conduct sales (online or through POS). Each of Shopify’s pricing plans includes online customer support. The Shopify Gurus (support experts) are always available and extremely helpful to queries. Shopify’s thriving app ecosystem means that even larger businesses can have their needs met when it comes to extending the functionality of the platform. A common misconception is that Shopify’s platform poses limitations to more complex e-commerce businesses. But consider this: Shopify’s list of customers includes Modelez International, makers of the popular Oreo cookies. 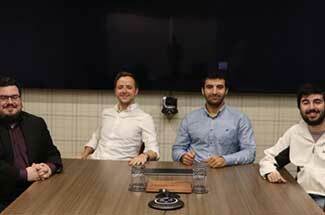 That should give you an idea of how flexible this platform really is and how it can cater to the needs of industry leaders like Modelez International. Magento is open-source software, so anyone with deep technical knowledge can modify it any way they want. Magento’s open-source nature means that it is available to anyone completely free of cost. What’s more, there are free templates and extensions available to anyone looking to build a store on a budget. Of course, deep technical knowledge is required to take advantage of this. Contrary to Shopify in which store data is stored on the company’s web servers, Magento users have complete freedom on where they want to store data. For people who’re really conscious about the privacy and safety of their store’s data, Magento is a great option. Thanks to the flexibility of the Magento platform, integration with virtually any ERP solution is possible. Granted, this requires a fair bit of expert help and will not be cheap. ERP integration with Shopify is also possible, but that requires the Shopify Plus subscription, which can reportedly cost thousands of dollars each month. There are some companies out there that offer incredibly complex products that are sold in countless variations. 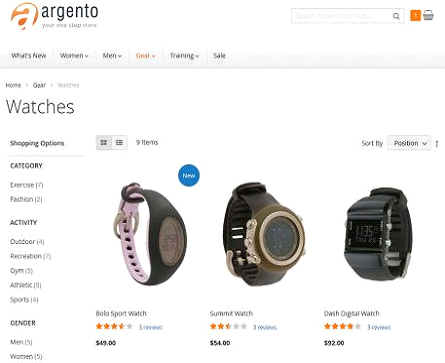 With Magento, custom programming can be done for these products to give customers a variety of customization options. An example of this is iMovR, an online seller of advanced standing and treadmill desks. Each of their products can be customized in a variety of ways to suit customer preferences. There are as much as 15 different customization options for each product – something which cannot be handled within Shopify.